Not controlling your anger could be harming your heart. Angry outbursts might trigger heart attacks, strokes and other cardiovascular problems within two hours of the event, according to new research from Harvard. Researchers found in the two hours after an angry outburst, a person's risk for a heart attack increased nearly five times and their risk of stroke shot up more than three times, compared to when patients were not angry. 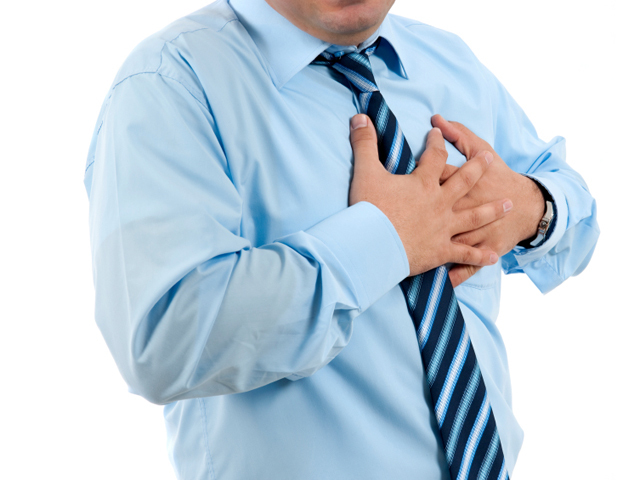 Risk for arrhythmia, or irregular heart rhythm, was also increased. People who were already at risk for heart problems -- such as those with diabetes or previously had a heart attack -- and those who were frequently angry were most at risk. "Although the risk of experiencing an acute cardiovascular event with any single outburst of anger is relatively low, the risk can accumulate for people with frequent episodes of anger," study author Dr Elizabeth Mostofsky, an instructor in the department of epidemiology at the Harvard School of Public Health in Boston, warned in a statement. Her team reviewed studies on anger and cardiovascular problems conducted between 1966 and 2013, pooling together the data for analysis. They identified more than 4,500 cases of heart attack, 462 cases of acute coronary syndrome (blocked arteries, which could also lead to a heart attack), 590 case of ischemic stroke (clot that blocks blood to the brain), 215 cases of hemorrhagic stroke (a burst blood vessel, or brain bleed), and 306 cases of arrhythmia. The researchers calculated one extra heart attack per 10,000 people per year could be expected among those who were angry only once a month and were at low risk for heart problems. It increased to an extra four per 10,000 people among those at high cardiovascular risk. For people who were frequently angry -- like five times per day -- the outbursts would result in about 158 extra heart attacks per 10,000 among people with low cardiovascular risk, rising to around 657 extra heart attacks per 10,000 among those already at high risk for heart woes. The study didn't look specifically at why anger triggered heart problems, but the researchers pointed out that anger increases heart rate, blood pressure and vascular resistance (the force that opposes blood flow). These changes in blood flow may lead to clots or trigger an inflammatory cascade that leads to heart problems. They added that doctors should ask their patients whether they have anger problems, and possibly suggest therapy or medications to prevent cardiovascular health woes. Maybe a statin or beta-blocker might stave off future heart issues in those who are angry, but more research is needed to determine what medications might help. The study was published March 3 in the European Heart Journal. In an editorial published in the same issue, researchers at the University of Missouri and University of Michigan who were not involved in the study said the results were not surprising, given the physiologic effects chronic anger has on people. "The remaining question in all of these studies, however, is how to prevent these dangerous anger episodes," they wrote.